After working tirelessly to build his empire over nearly seven decades, 89-year-old Hong Kong tycoon Li Ka-Shing announced his retirement last Friday. He will be stepping down as chairman of Hong Kong conglomerate CK Hutchison Holdings Ltd. and property giant CK Asset Holdings Ltd. after the annual general meeting on May 10. Li will continue to serve as senior advisor to the group after his retirement, and his eldest son Victor Li is expected to take over as chairman. Perhaps Li’s business acumen and charisma can be attributed to his zodiac sign, the dragon, which is typically associated with ambitious personalities. True to form, Li grew his personal fortune from a young age as a skilled salesman, outearning his colleagues and impressing his superiors. Li is also a Leo, which could explain his bold, trail-blazing persona. Spotify. Facebook. Airbnb. Siri. Google’s DeepMind. Li has invested in all of them and is a fan of game-changing innovation. His latest investments include a startup looking to replace eggs with plant substitutes. Li even founded Li Ka Shing Foundation to invest in disruptive technologies that will benefit the education and healthcare sectors, calling the foundation his "third son". During WW2, Li was forced to leave school before he was 16 years old in order to support his family after his father passed away. Today, he is a benefactor of several schools around the world including in New Zealand and Israel. In the late 1990s, Hong Kong’s high profile families were often targets for kidnappings and Li’s family was no exception. In 1996, the infamous Chinese gangster Cheung Tze-keung, nicknamed "Big Spender", kidnapped Li’s son at gunpoint, demanding HK$1 billion in ransom. According to Li, after Cheung received his payment, he called Li for investment tips. With an estimated net worth of US$35.4 billion, it may come as a surprise that Li’s trademark accessory for several decades was a US$50 Citizen electric watch. Less than one week into retirement, the 89-year old shared in his retirement speech that he is most grateful for his good health. 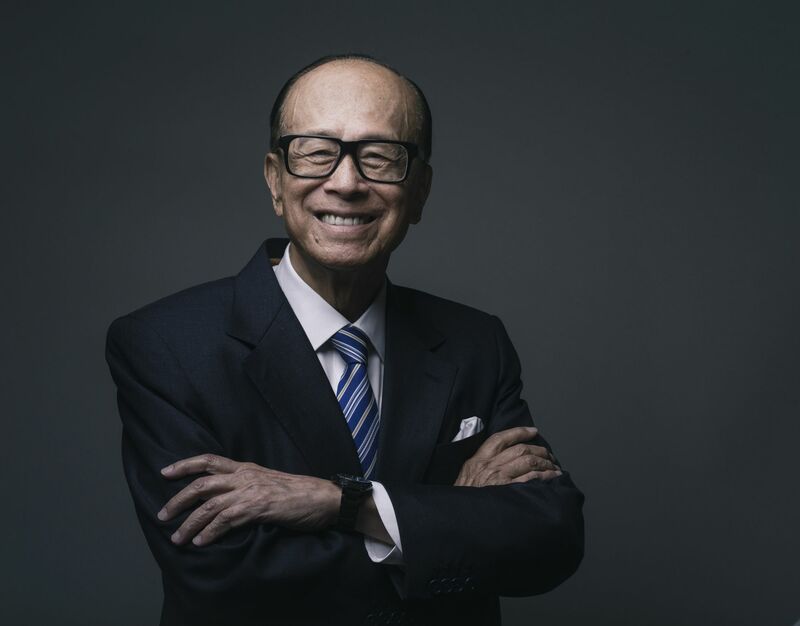 Li Ka-Shing His storied business prowess with Hutchison spans property, retail and telecommunications.